As the Christmas comes up, we bring a Christmas tree and decorate it. In fact, now Christmas tree is widely believed to be a symbol of Christmas, and that’s why most of us think that it’s been around forever. The Christmas tree is somehow related to paganism. If you look closely, the Bible never specifically states about when Jesus was born. People tried their best to pick a date clearly make a statement that on this day we shall celebrate the birth of Jesus Christ. Most of the Eastern countries decided to begin celebrating the birth of Jesus Christ on January 6, which worked perfectly until the idea of Christmas started to spread towards the western region. The management of Churches in the west made up a clever idea to convert pagans by adding Christian touch to the winter solstice which priests thought would help attract pagans. As they already had made a tradition to celebrate it. The shortest day of the year is winter solace, and it is the day that precisely marks the transition between days getting shorter and when they start is a symbol of green fields that will come with summer. Other groups out there did this as they had a firm belief that evergreen plants possessed magical powers that would help to protect from Dolf ghosts and other evil spirits. As Christianity and the celebration of Christmas began to grow, majority of the pagans that converted brought within the traditions they had already known which is how evergreen plants as a whole became affiliated with the holiday and since evergreen trees such as spruces and conifers were readily available, people began bringing them into their homes and decorating them. Long ago, even before Christianity, many plants that remained evergreen throughout the year had a special meaning to the people, especially in winter. Just like that, the tradition continued to evolve, and now people decorate their houses with a variety of evergreen plants and trees like spruce, fir trees, pine and many others. The people in ancient trees had evergreen boughs hanging over the doors and windows of old houses. People in many countries have a firm belief that every green flower is useful for protecting them from witches, ghosts, and evil spirits. They were commonly decorated with apples to symbolize the forbidden fruit, as well as nuts and under random ornaments. Allegedly it was Martin Luther who decided to put lights on the first Christmas tree. The story started when he was walking home. When he looked up and was mesmerized by all of the stars in the night sky, he decided when he got home to place candles on his Christmas tree to recreate the scene. But the Christmas tree didn’t catch on in America for quite a while, as usual, the Americans didn’t want to keep up with the rest of the world, in metric system and the first instance of a Christmas tree in America wasn’t even recorded until 1830 by German settlers in Pennsylvania. But even by the 1840s most Americans saw the Christmas tree as a pagan symbol and rejected it, in fact, an English scholar Oliver Cromwell often preached against ethnic traditions. Such as holiday carols and Dekker trees. Royal family stands as an icon of fashion and tradition. People started following whatever fashion they did and whatever tradition they followed. So the Royal Family basically sets the standards of fashions and traditions all across the world and still, people from all around the globe follow them and even after so many years, the Royal family is a trendsetter. So back in 1841 when Queen Victoria married Prince Albert, they started this custom of putting Christmas trees, and the wealthier middle and higher class families started to follow this trait. The trend changed drastically when Queen Victoria and her German Prince decided that they would celebrate with a Christmas tree in 1846. At the time anything the Queen did was instantly the new fashion and not only in Europe but also in America which helps set the Christmas tree once and for all as a symbol of Christmas itself. By the 1900’s homemade ornaments began decorating many trees followed by brightly colored popcorn and as time progressed electric lights came about allowing trees to be lit up much safer and in the modern air mass-produced Christmas orange became all the rage. Today a tree with lights and decorations is immediately recognized as a Christmas tree. So, Germany was the first company to combine the concept of these evergreen trees with Christmas, and that resulted in naming the tree as Christmas tree. The German settlers residing in Pennsylvania displayed the first ever tree with decorations. During the 20th century, Americans had a prevalent tradition to decorate their Christmas trees with homemade décor items and other ornaments while the Germans still followed the apples, nuts, and marzipan. With electric lights and other fairy lights, Christmas trees started looking even more lit, and they were seen all across the countries, and after some time, it became a tradition to decorate a Christmas tree at home. 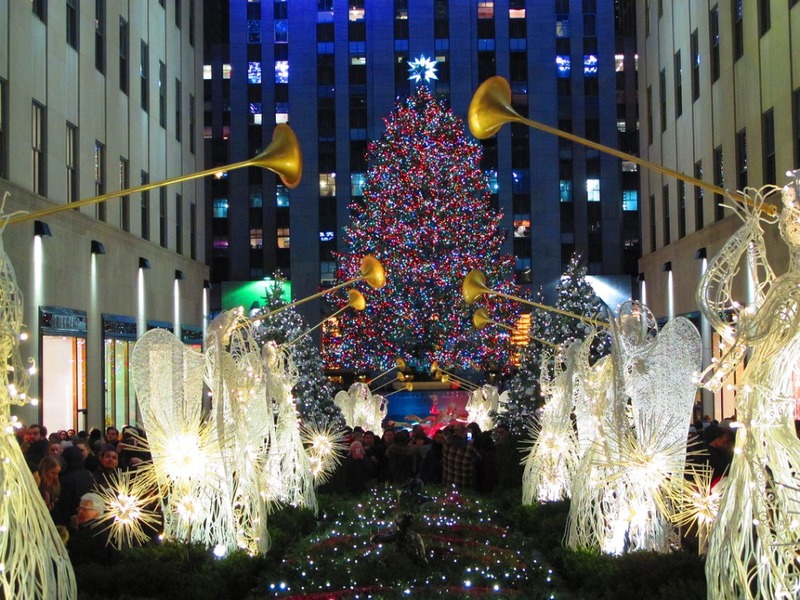 The Rockefeller Christmas tree is displayed at the Rockefeller Center back in 1948 and was the tallest tree with a height of 100 feet. It was basically a Norway spruce, and it dates back to the depression era. Setting up and the taking down of the evergreen Christmas tree also is associated with some specific dates. As per the tradition, people buy and decorate a Christmas tree on 24th of December (Christmas Eve), and they remove the Christmas Tree from their houses on 5th January which comes after the Twelfth night. Christians strictly follow these dates of putting and removing the tree as they believe that having a Christmas tree before or after these dates is a bad omen which brings bad luck. So, just after the twelfth night, the tree is removed and moved out of the house to avoid bad luck for any of the members living in the house. In some areas, a custom has evolved to put a Christmas tree in the start of the Advent season. Some families residing in U.S. and Canada follow the tradition of putting up a Christmas tree a week before Thanksgiving which comes on 4th Thursday of November. So for that Christmas trees and their various decorations are brought to the store even earlier, often the day after Halloween (31st October). Many Canadian families follow a different trait of waiting till the Remembrance Day. This is because they show respect to their fallen soldiers. Some families don’t follow the custom of bringing Christmas tree before the second week of December, and they leave the Christmas tree for one more day after the Twelfth night, i.e., 6th January. Germans traditionally bring a Christmas tree in their houses on 24th December, and they remove the tree on 7th January, but some also start that one or two weeks earlier. In some countries of Latin America along with Italy Argentina and Ireland, people bring Christmas tree in their houses on 8th December, and they remove it on 6th January. Australians also put up a Christmas tree on 1st December, and they leave it until it’s taken down. Various traditions suggest that a Christmas tree should be kept no longer than 2nd February when Christmas season closes. As per many superstitions, it’s a bad omen to keep the Christmas tree is not removed by Candlemas Eve. 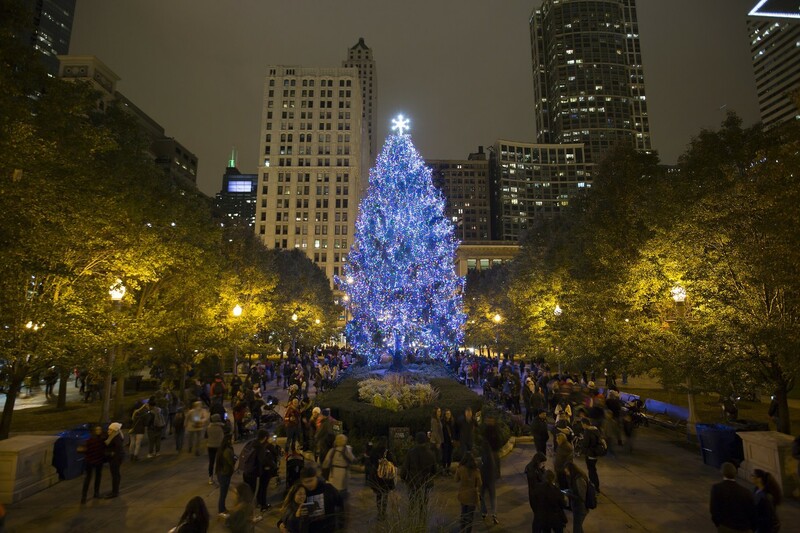 About 33 to 36 million Christmas trees are produced in America every year. In Europe, approximately 50 to 60 million trees are produced. 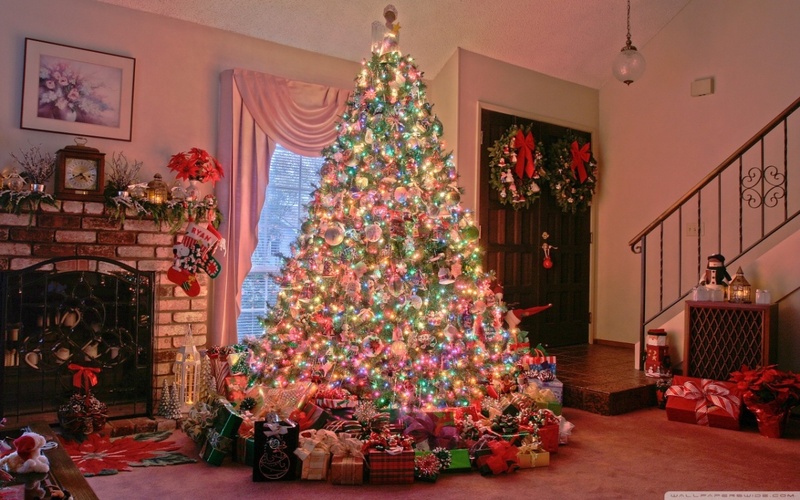 According to the stats of 1998, there were around 15 thousand growers of Christmas trees in America. In the same year, the estimated amount of money that Americans spend on Christmas trees was found out to be around 1.5 billion dollars. The amount increased to about $2.04 billion spent on natural trees and approximately 1.86 billion dollars spent on artificial trees. Around 75 million trees which cost around 2.4 billion euros are annually harvested in Europe. But it’s important to know this was not always the case and as with many things, history tells us a different story. Old traditions aren’t still as old as we think they are.